This wonderful bungalow perfectly equipped and furnished with everything needed for a comfortable stay. Upon entering the villa you will find yourself in the open-plan living room with dining area and kitchen. In the living room - soft furniture, .. The two-storey villa is ideal for families with young children. It is tastefully furnished, fully air conditioned, has a beautiful garden and a private swimming pool measuring 8x4 meters with a special fence for the safety of children. 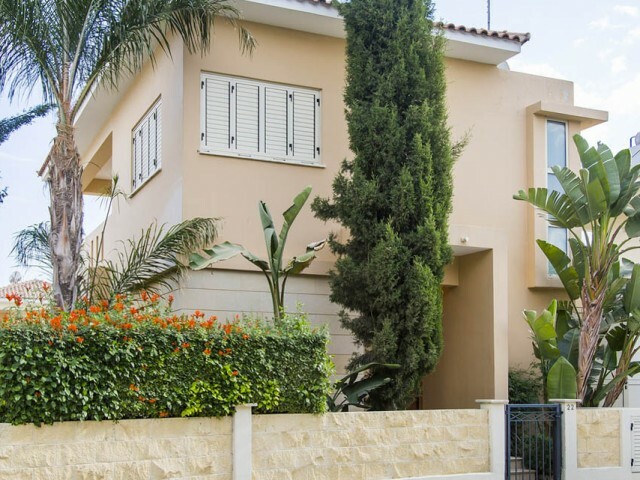 The living ..
Three-bedroom house in Limassol, within walking distance to the sea. The villa is fully equipped with furniture and appliances for a comfortable stay. Private garden with fruit trees and private swimming pool. The entire necessary infrastructure w.. The villa is ideal for a family holiday and families with children. It is fully furnished, air conditioned, has a beautiful garden and a private swimming pool with steps, the size of 8x4 meters. The living room is equipped with a leather corner so..
One of the most popular villas in this complex. The villa is ideal for families with children. It is tastefully furnished, fully air conditioned, has a beautiful garden and a private swimming pool measuring 8x4 meters. The living room is equipped .. This wonderful villa is ideal for a family holiday. Being inside the complex. It is tastefully furnished, fully air conditioned, has a beautiful garden and private pool. The living room has two sofas and a coffee table, where there is a large TV w.. 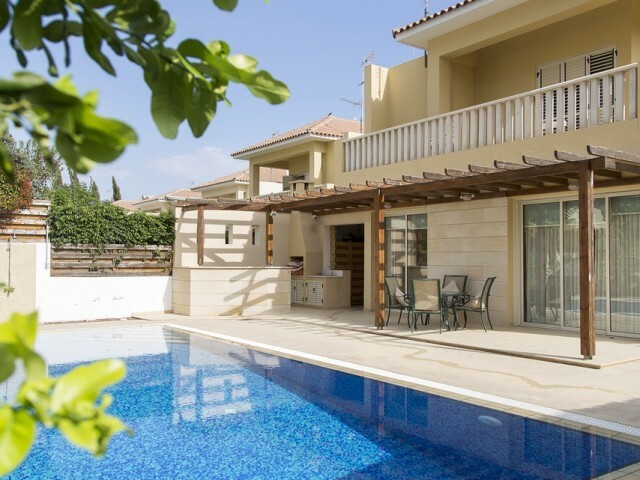 This wonderful one-level villa which is just a minute's walk from the sea, ideal for relaxing with very young children. The villa is fully equipped for a comfortable stay. It is tastefully furnished, fully air conditioned, has a small beautiful ga..
Villa with 3 bedrooms in classic style. It is ideal for families, as well as VIP guests. The villa is tastefully furnished, fully air conditioned, has a beautiful garden and private pool. The living room is equipped with two leather sofas and armc..
Villa in Limassol with 3 bedrooms is located 300 meters from the sea in a gated complex with communal pool. The mature garden with fruit trees, a gazebo and a playground. Two bathrooms and a guest toilet. 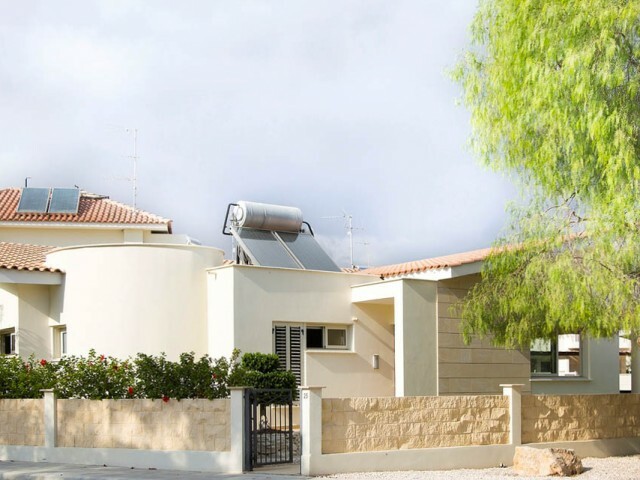 Covered area of the house is 140 m², land ..
Three bedroom villa in Limassol, within walking distance to the sea. Villa completely renovated, with new furniture and appliances. Swimming pool, barbecue area, large yard and porches. Three bedrooms are located on the second floor with a bathroo..